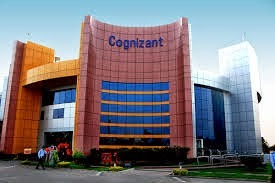 Cognizant has announced that it is working with HTH Worldwide, a global technology-based health services and information company, to enable its members to maximize the use of mobile technology for managing healthcare needs more effectively while traveling abroad. As part of the engagement, Cognizant is helping HTH Worldwide transform its mobile footprint through an enterprise mobile platform to support the company’s rapidly growing business and further strengthen its leadership position in mobile medical assistance services. Optimizing HTH Worldwide’s mobile applications such as mPassport and GeoBlue will enable members using these applications to more conveniently understand, access, and pay for the best available healthcare services in any corner of the world. HTH members use their smart phones today to consult destination-specific global health and safety information, locate doctors, emergency services, hospitals and pharmacies, schedule appointments, and translate medication names and medical terms and phrases. This enterprise solution will also allow HTH Worldwide to roll out new products quickly to meet their business and user demands all around the world with greater efficiency and agility. 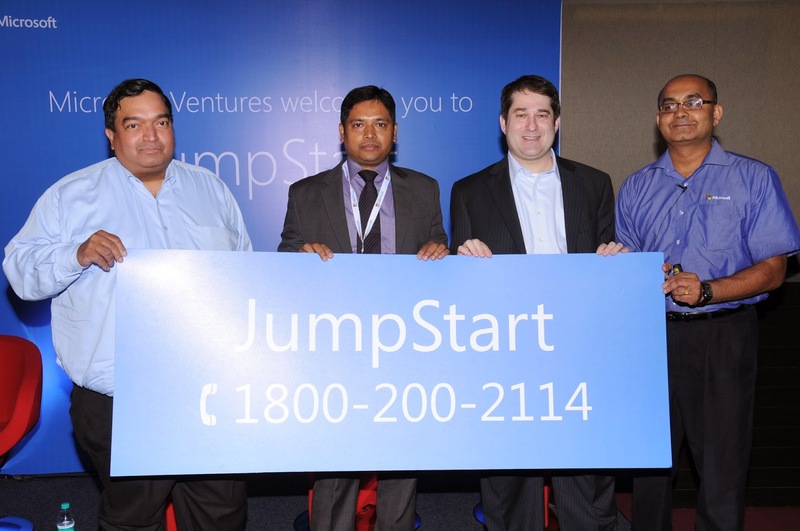 Microsoft Ventures in India announced the launch of “JumpStart,” a hotline to provide startups and entrepreneurs with a resource to ask business and technical questions. Open during business hours Monday-Friday (9am to 5pm IST), a team of dedicated professionals will be available to answer questions at 1 (800) 200-2114, a toll free number across India. 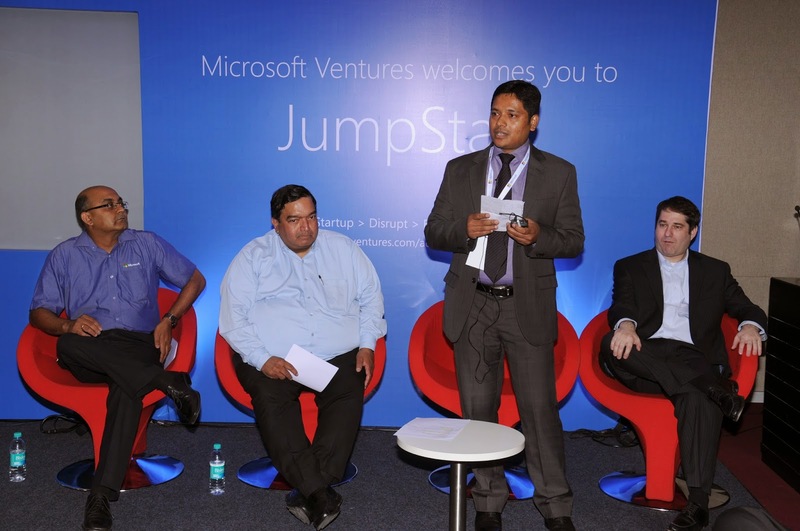 “Microsoft Ventures supports startups at every stage of maturity by providing them with the tools, resources and expertise they need to succeed,” said Joseph Landes, General Manager, Developer & Platform Evangelism, Microsoft India. “Our experience has shown that a major pain point for startups across the ecosystem in India, irrespective of their stage of maturity, is the lack of real-time support for various critical queries they face. JumpStart fills a major gap and ensures that startups get professional advice that enables them to make smart business decisions,” said Landes. JumpStart will be staffed by dedicated professionals who have been trained by Microsoft to answer business and technical queries. Microsoft will apply the learnings from these calls to fine tune the Microsoft Ventures program, including the India Accelerator, to make it more impactful for its recipients. 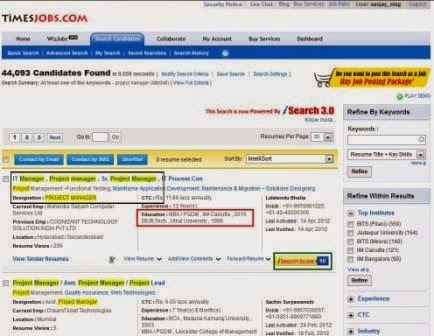 Flipkart Internet Pvt. 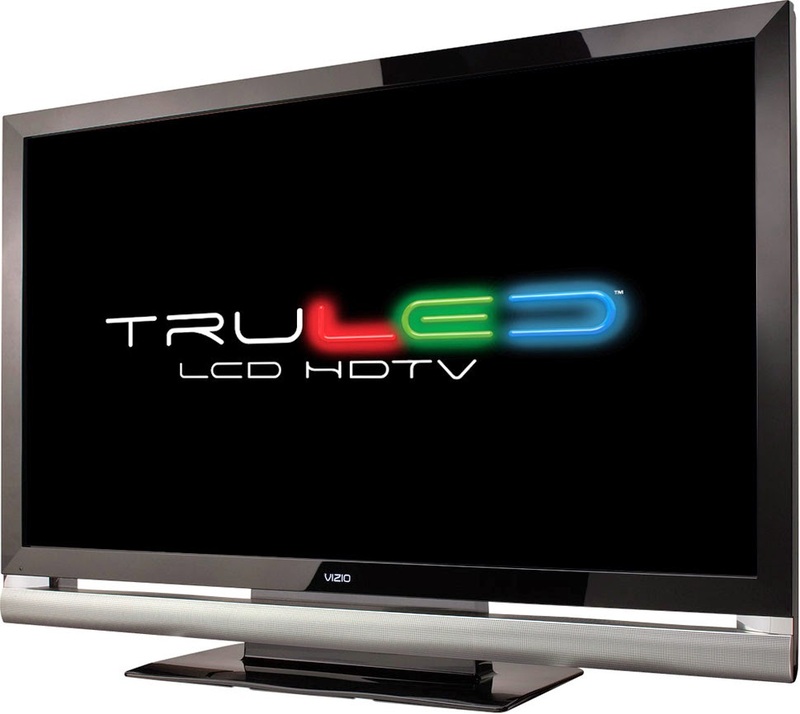 Ltd, India’s leading e-commerce marketplace, today announced its entry into the large appliances segment with the launch of televisions. This category will initially be available to shoppers in Mumbai, Delhi and Bangalore – and will soon scale up to other cities. Some of the key brands available at launch are Samsung, Sony, LG, Panasonic, Philips, Toshiba and Videocon. MathWorks' premier annual conference will be hosted this year in Bangalore and Pune. The conference will bring together engineers, scientists and partners to exchange ideas and explore the latest product capabilities in MATLAB and Simulink. The EXPO features presentations by MathWorks technical experts and customers in India and an exclusive exhibition area showcasing cutting-edge demonstrations. Jason Ghidella, Technical Marketing manager, MathWorks, will present the keynote address entitled ‘Directions in Technical Computing and Model-Based Design.' He will discuss how MATLAB and Simulink are equipping engineers and scientists to respond to challenges and opportunities arising out of mega technology trends such as big data, cloud and mobile computing, Internet of Things, low-cost programmable micro-processors, online education and more. 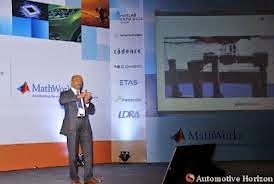 In addition, a MathWorks India customer will deliver a keynote address at the conference. 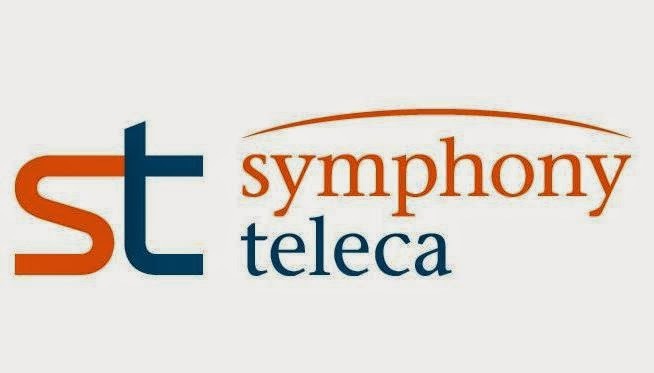 Symphony Teleca Corporation (STC) announced today that it has entered into an agreement to acquire Aditi Technologies (Aditi), a rapidly growing leader in cloud-led modern application development. With the acquisition, STC extends its leadership in innovation to drive clients’ revenue growth by being able to uniquely deliver Systems of Engagement (SoE). Aditi will serve as a strategic growth lever for STC through its design and cloud expertise, complementing STC’s engineering, mobile and analytics capabilities. SoE are modern applications that businesses use to engage with their customers by utilizing the convergence of cloud, mobile and analytics. The SoE market is expected to grow from $33 billion in 2013 to $111 billion in 2020 (Source: Zinnov). The combined company will have unprecedented capabilities in delivering SoE based on analytics-powered modern apps and smart mobile devices. The company will serve a broad spectrum of customers spanning enterprises, independent software vendors and connected systems manufacturers. The combined team includes 7,500 employees spread across a network of 40 global offices with innovation hubs in North and South America, Europe and Asia. The company is expected to experience 20 percent growth by the close of 2014. Aditi will continue to operate as a new division of STC under the leadership of Pradeep Rathinam. Symphony Teleca’s acquisition of Aditi will accelerate its mission to be the innovation partner of choice for customers, helping to drive their growth agendas through SoE. SoE enable businesses to engage with customers in a more compelling way, analyze customer behavior and create personalized experiences, while increasing customer loyalty and revenue across multiple channels. SoE are built for scale, cloud-based and consumed on smart mobile devices as the point of engagement with customers. 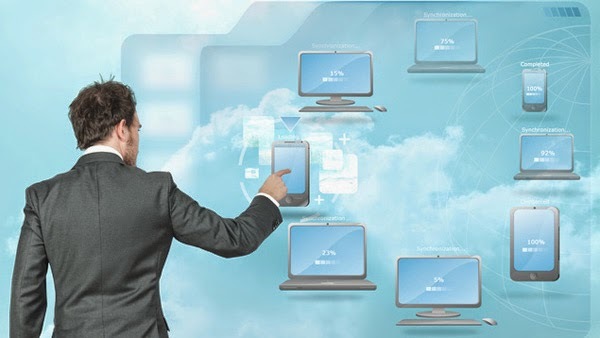 They connect back-end enterprise software with front-end mobile software and are supercharged with big data analytics. SoE require a radically new high speed, agile approach to development at the convergence of enterprise software, mobile software, user experience design and big data analytics. Both parties are working to obtain certain procedural regulatory approvals to formally close the transaction. The terms of the deal have not been disclosed. 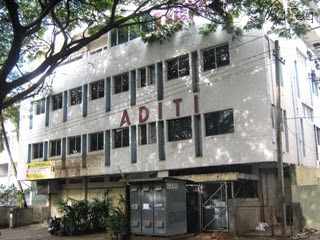 Avendus Capital was the lead financial advisor for Aditi for this transaction. “The confluence of intelligent devices, cloud and analytics is the next breakthrough business opportunity for our customers. Joining forces with STC positions us as an innovation catalyst for our customers by helping them engage and understand their customers," said Pradeep Rathinam, CEO of Aditi. 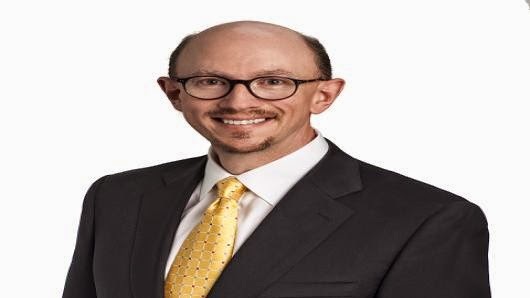 A twenty five years of IT leadership experience to help continue company's focus on improving operating performance Polycom, Inc. today announced that Scott McCool was promoted to the role of Group Vice President of Information Technology and Chief Information Officer. He is now responsible for Polycom’s global Information Technology (IT) organisation and prioritising the company’s IT spend to investments that deliver the greatest value. McCool reports to Chief Accounting Officer and interim Chief Financial Officer, Laura Durr, who is responsible for managing all financial, accounting and IT functions at Polycom, and is focused on driving efficiency as Polycom looks to accelerate its momentum in the market. McCool has more than 25 years of experience in building and managing IT organisations. McCool joined Polycom in July 2013 as the company’s Vice President of Information Technology and Chief Information Security Officer. Prior to joining Polycom, McCool directed global infrastructure engineering at Brocade, launching innovative designs and leveraging Brocade IP, storage networking and software-defined networking (SDN) solutions. Scott holds a Master of Science in Computer Information Systems, a Master in Business Administration, and numerous IT certifications. 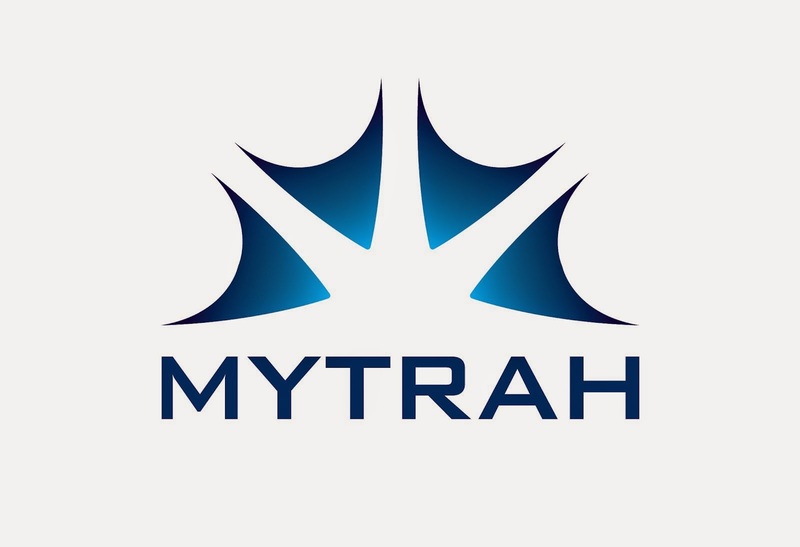 Saluting the entrepreneurial spirit, Mytrah, one of the largest Independent Power Producers will host Inspiring Solution Business Plan Competition. The competition calls for the best minds across the globe to present their entrepreneurial idea. The best idea will be provided with a seed fund of US$100,000 to set up their dream enterprise. Participants can enter one of three categories - individual, start up and team. The competition is open to people above the age of 18 from any vocation or nationality. All one needs to do is harness their lateral thinking, creativity and channelize energies into drafting a business plan around their idea. In line with Mytrah’s philosophy, entries to Inspiring Solution should exude the following qualities visionary, change catalysts, perceptive to the needs of others, open, innovative and giving. The criteria for judging a business plan are threefold - The practicality of the solution being offered, the potential for running a business based on the solution, detailing and attention to financial projections, key metrics, marketing & sales strategies and understanding of market environment. The finals of Inspiring Solution will be held on May 17, 2014 in Hyderabad. The top three nominees will be provided with mentorship and guidance to set up their enterprise. 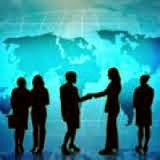 With political uncertainty coming to a conclusion, Hiring went up by 3 per cent during the month of March ‘14, according to the latest TimesJobs.com RecruiteX, indicating that India Inc is optimistic about the future. 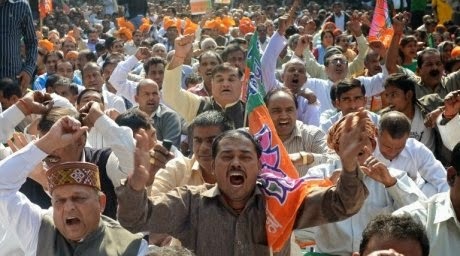 With the Parliamentary Elections promising to quell the economic and political instability in India. Corporates showed signs of recovery and confidence as hiring recovered across key sectors, job hubs and functions. The Indian jobs market which was largely inactive during Jan-Feb ‘14 is getting back on track as RecruiteX demand index climbed up to 93 points in March from 90 points recorded in February ‘14. Petrochemicals & Project/Infrastructure lead: The Project/Infrastructure sector emerged as the top employment generator in March ’14 with a 12 per cent rise in demand, the Petrochemicals industry reported a 9 per cent rise. As anticipated by industry experts in the bi-annual RecruiteX report, Petrochemicals and Project/Infrastructure were the first two major industries to show signs of revival in a struggling economy. While both these industries started the year on a somber note, witnessing negative hiring sentiments during January ‘14, things started looking up from February. Engineer(ing) its way to growth: There has been a huge demand for engineers in India Inc and experts predict that this will increase manifold in times ahead. This profile reported a 12 per cent rise in demand during March ‘14. It was the only top profession to witness a double-digit rise in demand during the month. The rise in demand for engineers is a result of revival of hiring in core sectors including Project/Infrastructure, Petrochemicals, Manufacturing and Real Estate. IT/telecom and logistics professionals also reported 8-9 per cent increase in demand. India Inc rely on experience: Corporate India is pining huge hopes on its experienced workforce to sail through the tough times ahead. RecruiteX data shows that in March ‘14 demand for over 20 years of experience professionals increased by more than 30 per cent. The 10-20 years and over 20 years of experience category together accounted for 65 per cent of the total demand for candidates across experience categories. Hyderabad emerged as the top job hub during March ‘14. The city reported a 30 per cent rise in demand for talent during the month. Since Jan-Mar ‘14 the region has witnessed an average rise of 2 per cent in hiring. Among metros, Chennai witnessed 20 per cent increase in demand during the month. 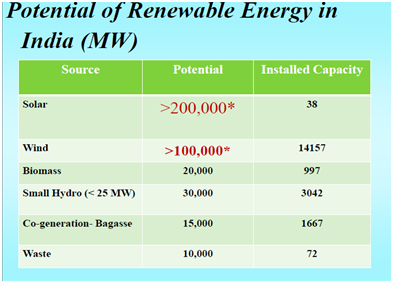 · Among states, Andhra Pradesh (except Hyderabad) witnessed maximum increase (20%) in demand. Verizon is addressing the growing need for organizations to connect more than one cloud seamlessly and securely, with the launch of its Secure Cloud Interconnect service (SCI). 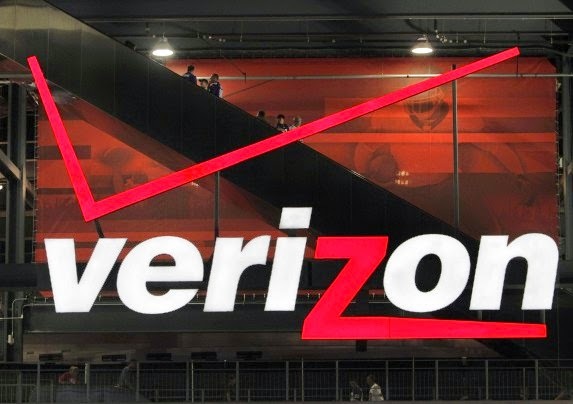 Enterprise organizations will be able to use Verizon’s Private IP service to connect to multiple cloud services including the Verizon cloud and Microsoft Azure, with an additional half-dozen other major cloud services expected to come online later this year. In addition, enterprises that have located their private cloud infrastructure in Equinix data centers can directly access Verizon’s Private IP service in 15 Equinix data centers in the U.S., Europe and Asia-Pacific; (Northern Virginia., Newark, N.J., Chicago, Dallas, Los Angeles, Atlanta and Silicon Valley; London, Frankfurt, Amsterdam and Paris; Sydney, Hong Kong, Tokyo and Singapore). “With Secure Cloud Interconnect, Verizon is removing the barriers for enterprise cloud adoption,” said Michael Palmer, vice president of product development for Verizon. “The reality is that many organizations today use multiple clouds to meet their business and technical objectives, but there was no easy way to manage this environment until now. “Our new offering uniquely gives enterprises everything they require in a multi-cloud environment– security, private connectivity, performance, simplicity and efficiency. 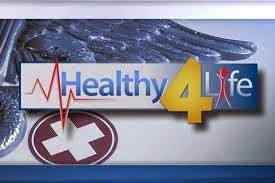 SCI will enable a wide range of applications and use cases for organizations,” stated Palmer. Verizon’s Secure Cloud Interconnect service will offer a combination of features to enterprises, including dynamic bandwidth allocation with fully redundant connections, application performance throughput and quality of service, usage-based billing, and simple provisioning and management via a centralized portal. With SCI, enterprises gain full visibility into which applications are being consumed, by whom, and where and how they are performing. In addition, for added protection, clients can also add managed security services on top of their solutions. Experts estimate that the enterprise cloud storage and computing market is growing at 50 percent annually, with enterprise cloud spending expected to increase by 45 percent annually. Infosys leads five Indian clean energy projects that have been shortlisted for the annual Ashden Awards, referred to as the Green Oscars, here Wednesday. The awards recognise worldwide contributions towards green energy initiatives and a move away from fossil fuels. Infosys has been nominated in the ‘Ashden Award for Sustainable Buildings’ category for the Bangalore-based company’s cutting edge design of new buildings which helps keep offices cooler and maximises natural light. “Since 2008, global IT giant Infosys has cut more than US$80 million from its energy bills and reduced electricity consumption per staff member by 44 per cent. Its success lies in seizing every opportunity to reduce energy consumption in its existing buildings — from reducing the size of chiller plants for air conditioning, to painting roofs white so they reflect the heat,” reads the award nomination statement. The other finalists include two projects from Maharashtra — Sakhi Unique Rural Enterprise (SURE) and Greenway Grameen — which have been nominated in the ‘Ashden Clean Energy for Women and Girls Award’ category. SURE is a not-for-profit social enterprise in central Maharashtra that has selected, trained and supported more than 600 women micro-entrepreneurs to sell clean energy products like solar lanterns and cleaner cookstoves to other women. Mumbai-based Greenway Grameen’s mission is to provide an affordable, desirable cookstove to improve quality of life for Indian women. The Rajasthan Horticulture Development Society has been shortlisted for the ‘USAID Ashden Energy for Agriculture Award’ for its solar-powered water pump project and Mera Gao Power from Uttar Pradesh has been nominated in the ‘Citi Ashden Award for Innovation in Finance’ category for pioneering the use of unsubsidised commercial micro grids, which have so far connected more than 20,000 families to clean, affordable power. 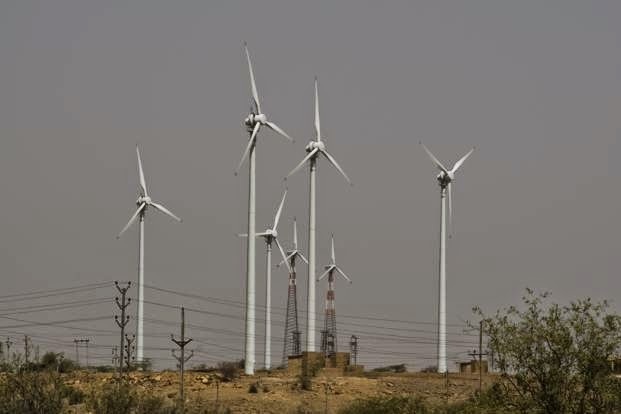 “India is a hotbed of innovation in sustainable energy: from social enterprises that are meeting the energy needs of some of the poorest people in the country, to an IT giant that’s achieving staggering energy savings across all its business campuses. “Together all five organisations are leading examples of what can be achieved. The rest of the world should take note,” said Ashden Awards founder Sarah Butler-Sloss. A total of 14 Ashden Award winners will be announced at a gala ceremony at the Royal Geographical Society in London on May 22. Winners will receive up to 40,000 pounds and global recognition as one of 2014’s green energy leaders. National Association of Software and Services Companies (NASSCOM) today announced that the Executive Council has appointed R Chandrasekaran, Executive Vice Chairman of Cognizant India, as the Chairman of NASSCOM for the year 2014-15. R Chandrasekaran has been a member of NASSCOM’s Executive Council and will take on the new role from April 09th, 2014. 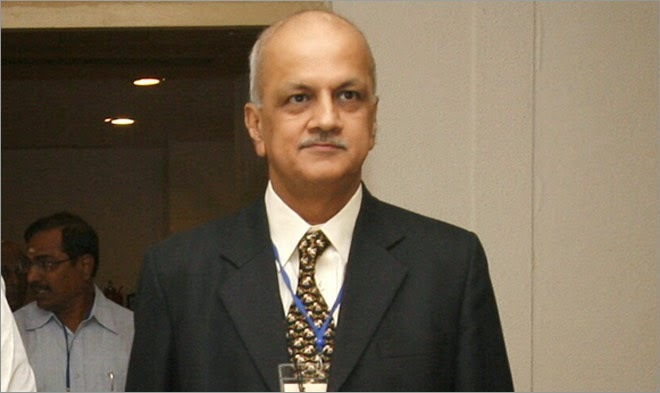 He succeeds Krishnakumar Natarajan, CEO and MD of Mindtree Ltd., who served as Chairman of NASSCOM for the year 2013-14. The Executive Council also announced the appointment of BVR Mohan Reddy, Founder, Chairman and Managing Director, Infotech Enterprises as the Vice Chairman of NASSCOM for 2013-14. For the last 25 years, NASSCOM has played an instrumental role in propelling the Indian IT-BPM industry to a leadership position in the global sourcing arena as well as the domestic market. I am honored to be given the opportunity to take up this role and look forward to leading NASSCOM in its next phase of growth. Our industry has had a phenomenal journey in the past two decades growing from less than US$100 million to a US$100 billion plus sector and NASSCOM will continue to garner opportunities to further catalyze the 2020 vision for the industry.” said BVR Mohan Reddy, Vice-Chairman, NASSCOM. · Changing models will bring compelling business innovations with greater breadth and specialisation across key verticals- BFSI, telecom, healthcare, social entrepreneurship etc. · Industry is coming together to work towards nurturing the start-up ecosystem with NASSCOM spearheading the cause by providing them various platforms to help Indian start-ups break new ground. 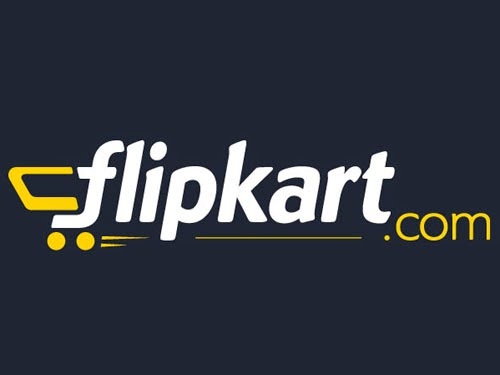 After launching the highly successful native Android and iOS apps, Flipkart.com, the leading e-commerce marketplace in India, launched its Windows Phone shopping app today. 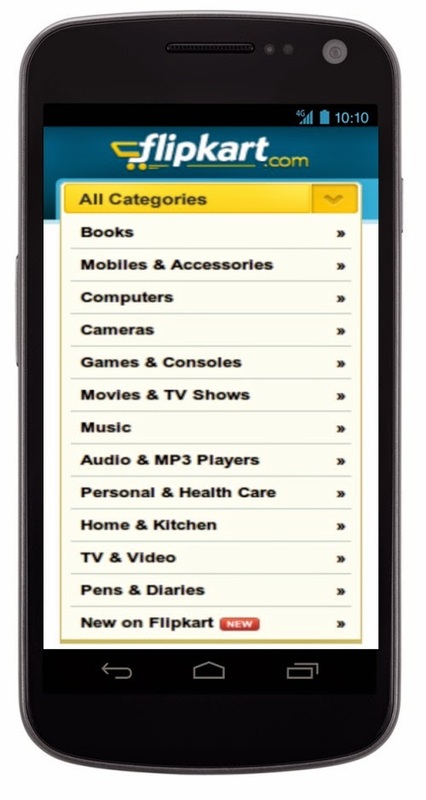 The Flipkart.com Windows Phone app aims to make the shopping experience on Flipkart.com faster, smoother and easier for all Nokia Lumia and other Windows Phone users – allowing them to shop from a massive selection of 100% original products including mobile phones, laptops, books, shoes, watches and apparel. The app's design and user interactions have been optimized for a Windows Phone user. “With smartphones becoming more affordable and a steady rise in internet enabled devices, the number of people who are using their mobile phones to shop is increasing dramatically. Windows Phone smart devices have a large, engaged user base in India and the app lets us reach out to this substantial audience. 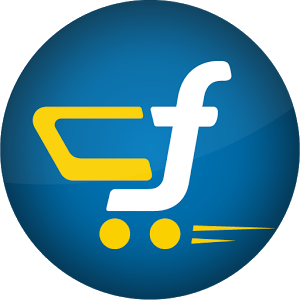 Today’s launch will make shopping on Flipkart.com available to all Windows mobile users and let them experience the convenience of shopping on the go.” said Saran Chatterjee, VP – Products and Mobile Strategy at Flipkart. 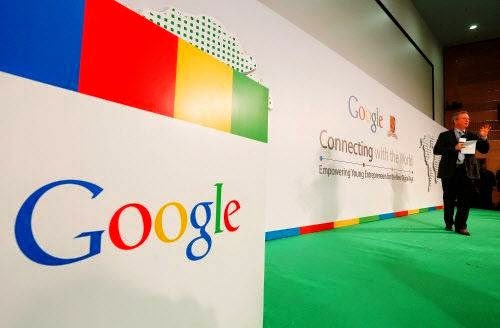 Google has set up a dedicated portal to help Indian voters know about their Lok Sabha election candidates, the global search engine said in a statement. “Our new portal – www.google.co.in/elections – will help netizen voters to access information about their candidates and the Lok Sabha constituency from where they are contesting and the outgoing lawmaker,” Google India said. Designed and developed with rich content from the Association for Democratic Reforms (ADR), PRS Legislative Research and Liberty Institute India, the portal provides data on contestants such as their education, financial details and social media presence. “Netizens can click on Google maps and zoom on their locality to access latest information on candidates, constituency profile and the voting day, as the portal will be updated regularly from authentic sources,” the statement said. The portal has been developed to assist over 800 million voters to stay informed with features like news videos, search trends, G+ Hangout series and an interactive “Pledge to Vote” campaign. “The portal will help the electorate to make an informed choice during voting. As citizens, it is our duty to choose candidates who are clean, honest and committed to progress, security and development of the country,” ADR founding member Trilochan Sastry said on the occasion. Google pioneered the election tool seven years ago when its software code writers noticed a surge in search traffic during the 2008 US presidential poll when Democratic candidate Barack Obama contested against John McCain of the Republican Party. “The Google election portal is a one-stop destination to access information on the 2014 parliamentary elections and contestants in the fray for public office. The tool will enable voters to make an informed decision on the choice of their candidate, his/her party and its symbol,” Google India managing director Rajan Anandan said. About 20 countries the world over, including Malaysia and Thailand in southeast Asia, have election pages, which encourage people to engage with their contestants. Wal-Mart Stores Inc on Tuesday announced plans to open 50 more wholesale outlets in India and start online operations to sell to small shopkeepers, several months after it decided against opening its own retail stores there. The world's largest retailer said it would open the stores over four to five years. The company already has 20 Indian wholesale outlets. They sell goods to small shopkeepers, who dominate the nation's $500 billion retail market, rather than directly to consumers. Wal-Mart has no retail stores in India. Wal-Mart's growth in India has been stunted by an internal bribery probe, uncertainty over regulations on foreign investment in the country, and in October, the severing of a partnership with New Delhi-based Bharti Enterprises aimed at opening retail stores. Full foreign ownership of wholesale, or "cash-and-carry", stores is allowed in India and has not generated any political opposition. Wal-Mart has been operating under the wholesale format in India since 2006. Globally, Wal-Mart operates 359 wholesale stores, compared with 5,633 retail outlets, according to its most recent annual report. In 2013, Wal-Mart did not open a single wholesale outlet in India despite plans to open eight during the year. "We are evaluating and reinforcing procedures and programs relating to all compliance areas, including licensing and permits, food safety, and responsible sourcing, among others," Scott Price, Wal-Mart's Asia chief executive, said in a statement announcing the rollout. A company executive in India said the first new outlets among the 50 would open soon in western and southern India, including the states of Maharashtra and Andhra Pradesh. The executive, who requested anonymity because he was not authorized to speak to the media, said Wal-Mart would start the online business on a wholesale basis and sell goods to traders on a "very small" scale. India does not allow foreign retailers to sell goods online directly to consumers. Wal-Mart named a new India head in December and said then that its focus in the country would be on opening wholesale stores and building its supply chain. The company's desire to enter India with supermarkets has been met with fierce opposition from small shopkeepers and political parties. Sources at Wal-Mart have said they are waiting until after national elections in May before applying to operate retail stores in India in case a new government overturns a rule allowing direct investment in supermarkets. 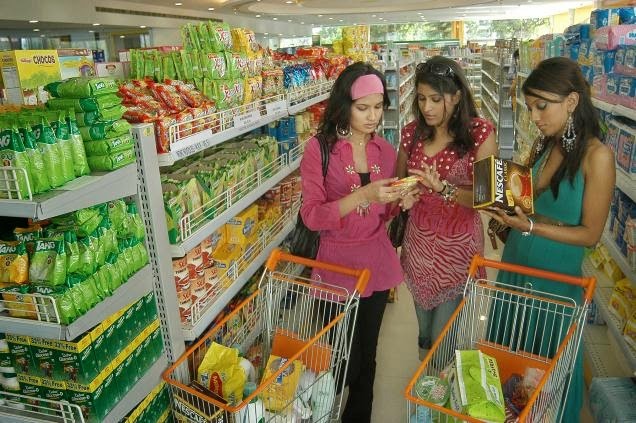 On Monday, the political party expected to lead India's next government said it would bar foreign supermarkets. 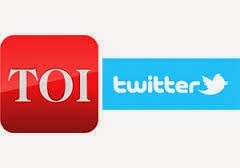 Timesofindia.com, India's global digital news destination, and Twitter, world's leading microblogging social network, have joined hands to delight users with a unique integration named "Tweet to remember". This joint social initiative will encourage users to exercise their core right as a citizen of world's largest democracy, India: to remember to vote. The integration empowers the voters, by reminding them on the day it matters most. When a user tweets "@timesofindia [city name]" (like "@timesofindia Delhi", they will be guided through a process that easily enables them to add the date for their vote to their calendar on their phone or desktop. In addition, timesofIndia.com has developed a Social News Hub, in partnership with Twitter & Frrole. It leverages trend analysis and sentiment analysis via algorithmically filtered tweets to display the latest trends and sentiments around candidates and parties, according to users, with real-time data and millions of data points. The data is beautifully presented with dynamic visualizations, sorted by day or week. 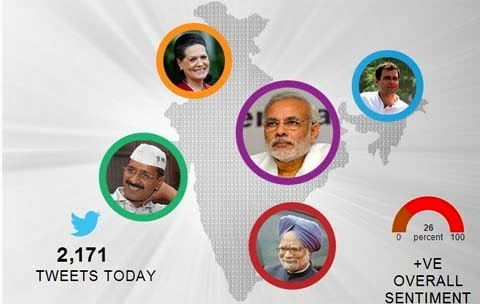 You can check this out on the 2014 Lok Sabha election special page of TOI Online. 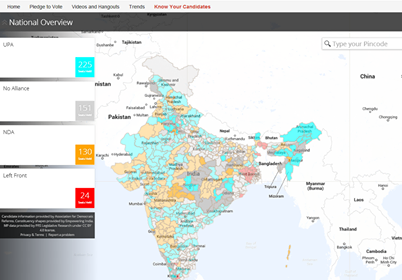 The platform offers a new lens to understand the Lok Sabha elections, bringing community feedback as a source of news. Speaking on these partnerships, Satyan Gajwani, CEO, Times Internet, said, "The social conversation is a new component in today's news cycle. As a news outlet, timesofindia.com is always looking for ways to bring new information and new value to its users. With Social Hub, we're bringing a new perspective that hasn't been readily visible before, and with Tweet To Remember, we hope to better enable the thriving democracy that powers India." Rishi Jaitly, India Market Director, Twitter, commenting on the initiative said, "Twitter is the world's leading mobile, real-time information network where users follow, share and experience content that is live, public and conversational. During this election season, the Twitter platform has become a vital source of daily information, conversation and communication for citizens and political leaders alike. We applaud Times Internet for innovating on our platform with "Tweet to Remember" and ensuring its audience can use Twitter to add its polling date and additional details to their calendars." Fujitsu has developed a new technology that can boost data transfer speeds by as much as 10 times, which could affect everything from the cloud to mobile applications. The Japanese firm discovered a way of using data deduplication and compression to reduce the volume of data sent, allowing it to arrive much faster than before. The reduced volume is accomplished by prioritising the saving of data that appears frequently on a network, which prevents unnecessary duplicate data on a mobile device's storage by as much as 80 per cent. This is coupled with a new lightweight data compression technology, which searches for repeating patterns for faster compression of files. Because deduplication and compression are only useful for large volumes of data, the Fujitsu technology will analyse the data size, available network bandwidth, and CPU power to decide to go ahead with the technique. 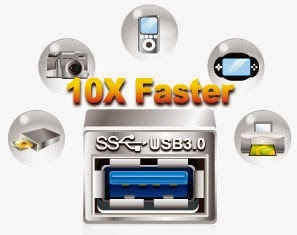 This automates the process and prevents slower data transfers of small data volumes that are better off sent as is. 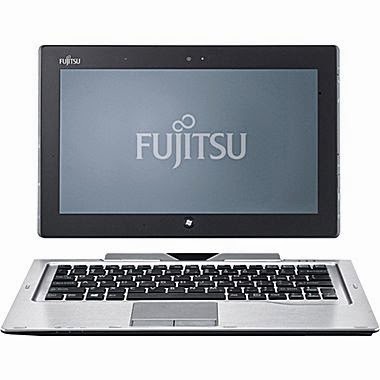 The company will showcase the technology at the Fujitsu Forum 2014 from May 15-16 in Tokyo. It plans to commercialise the technology during its fiscal 2014. Facebook, the world's largest social media company, has crossed 100 million active users in India — the second country, after the United States, in which it has done so. "We crossed the landmark on March 31," Javier Olivan, vice-president, growth & analytics, Facebook, told an leading business daily in India on a video call from its headquarters in Menlo Park, California, on April 7. 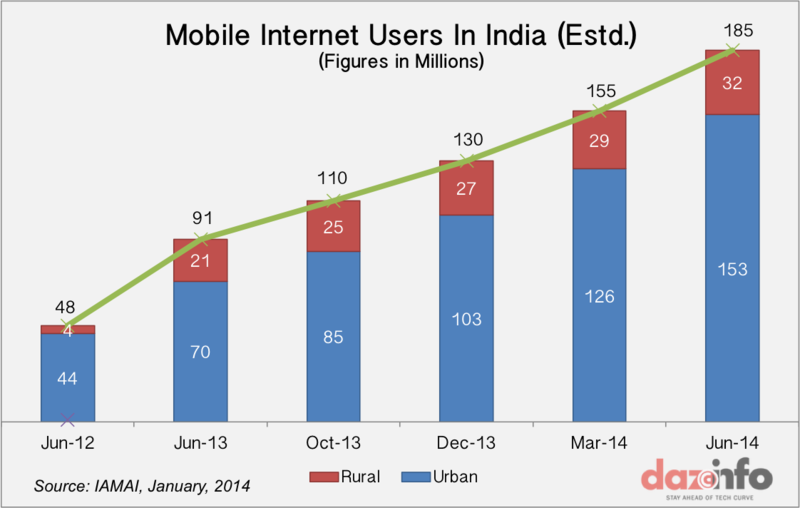 The ascent of Facebook in India has been speedy and has been powered by the mobile phone. When the American company set up its first India office in 2010, in Hyderabad, it had 8 million users in the country. Further, according to Facebook, 84 million of its 100 million users in India access the social networking site from their mobile devices. Facebook, which was set up in 2004, had 1.23 billion users across the world, as of December 31, 2013. "If Facebook continues its current growth trajectory, we can see it as a core communications tool for the world," says Neha Dharia, analyst with UK-based research firm Ovum. "This besides being a media platform where users can share and engage in a range of media such as videos, pictures and games. We expect to see a stronger move around storage (cloud-based) and utility services from Facebook." For Facebook, the US remains its biggest market, with about 183 million users, though perhaps not for long, given the inflexion point India is at with regards to Internet usage, especially on the mobile. According to Olivan, who is one of the three people in the company who report directly to founder Mark Zuckerberg, Facebook is now "looking forward" to 1 billion users in India, a numerical figure it intends to chase with specific initiatives aimed at increasing connectivity, affordability and relevance. "That (1 billion) is a different focus and challenge," he says. Olivan says much of the challenge of going from 1 million to 10 million in India was about optimising the product for users. For example, removing the condition that a user needed to have an email ID of an American college to access Facebook. From 10 million to 100 million, he adds, it was about improving experience on low-end devices and offering it in languages other than English. "For 1 billion, we need easy connectivity, the biggest challenge of our generation," he says. One of the initiatives it is focused on to widen connectivity is internet.org, a partnership it has with six mobile technology companies to provide affordable Internet access to the unconnected. It is also working with telecom companies to increase data adoption among users in emerging markets like India. 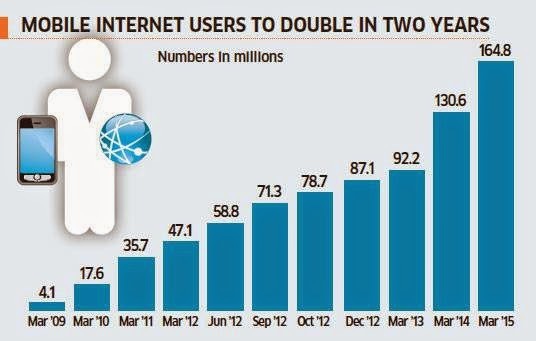 On this trajectory, it's only a matter of time before the Facebook user base in India crosses that of the US. Is Google's Android TV Rollout In The Cards?